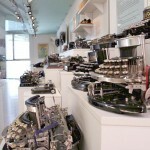 The typewritermuseum is located in the historical centre of Partschins, a small, picturesque village at the surroundings of Merano. Designed by the architects Georg Mitterhofer and Luciano Delugan it was built to honour the most famous citizen of Partschins, the inventor of the typewriter Peter Mitterhofer. 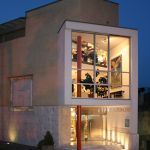 The museum is set over four floors that offer various spacial perspectives and views. Thanks to the donation of Kurt Ryba in 1993 – on the occasion of the centenary of Mitterhofer’s death – first steps were taken to build the museum. 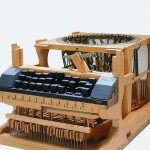 With over 2000 objects the museum holds one of the biggest collections of antique typewriters and gives a good understanding of the history of the typewriter, starting with Mitterhofer’s invention in 1864, leading up to the digital era that has definitely replaced the typewriter with the introduction of the computer at the late 20th century. 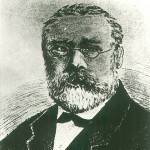 Peter Mitterhofer lived in Partschins from 1822 – 1893 where he invented the typewriter. 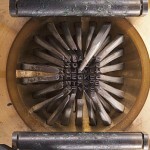 Without any technical help and with simple tools only he developed five models of typewriters. With two of his mainly wooden prototypes he went to Vienna asking the Austrian emperor Franz I for support. Ahead of his times, all his attempts to have success with his revolutionary invention were fruitless. In all his lifetime he had no recognition at all, neither in his own village nor at the imperial court in Vienna.